Does the tool support structured syntax, like Javadoc or PHPDoc syntax? Can we add additional documentation to the API docs, like tutorials, README? Can we customize the appearance of the output? Is there any search feature in the output? 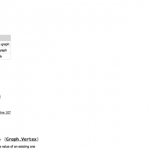 Is the output HTML SEO friendly? Does it require external dependencies? Does it parse the entire source code or just the comment blocks? We measured the time each tool took to run each tool using the time command from commandline. The testing was done on a MacBook Pro with 2.4 GHz Intel Core i5 processor and 8GB DDR3 RAM, running OS X version 10.9. While writing documentation in comment blocks, it is absolutely necessary to write it in a specific format. This enforces a pattern of writing comments. Javadoc and PHPDoc syntaxes have been in use for a long time and have gained a good number of users because of the easy-to-maintain structure. For example, for each function, its parameters and return values are neatly documented using specific tags in the comment. This is where we found Docco to be severely lacking. 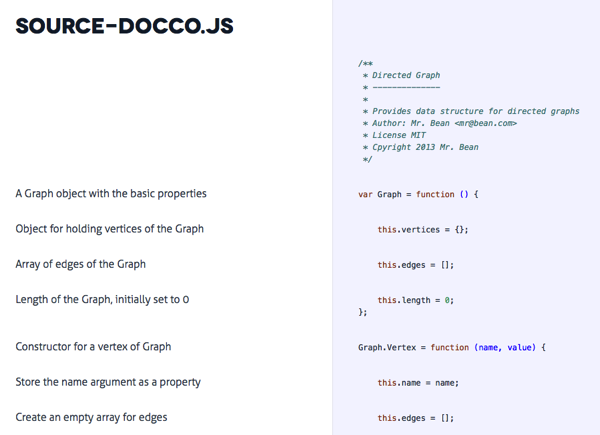 Docco is built from the ground up for good looking documentation – easy and fast. It will parse any comment line beginning with double slashes and place it alongside the actual source code in the output. However, as more and more contributors start working on the same code, each coder will tend to write the function or class descriptions differently in the comment, depending on each person’s choice and style. This brings wide disparity in the ways in which the code is documented. As a side effect, when the project grows, the code cannot be properly parsed through a structured document generator. Specifying function or method parameters, return values, description and examples in a specified style in the comment also makes it easier for anyone looking at the code to understand what the function does, without having to read the code block. This is particularly useful for long running projects where team members can keep changing. Newcomers can easily adapt to an existing structure and understand how the pre-existing code works. Interestingly, YUIDoc requires the names of functions/methods/properties to be explicitly written in the comment. This is because YUIDoc reads through the comment blocks only, ignoring whatever is outside those blocks. Notice the addition of @class tag. YUIDoc scans this tag to get the name of the function. It is slightly odd to document standalone functions as @class. There is already a feature request made in YUIDoc to implement @function tag for standalone functions like this. The only downside of enforcing a structured syntax is that it brings in a steeper learning curve. 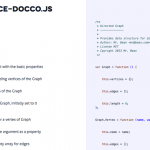 Docco can be used any new developer easily, without taking any effort to learn a new syntax. JSDoc and YUIDoc require developers to read and have a good understanding of the syntax of structured commenting before they can use it. This implies having to learn the tags, their arguments and styles and gradually getting use to the style of writing comments in code. YUIDoc excels in the accessibility of the stock themes that it provides. The output is readable, searchable and is user-friendly, even for the non-technical users. JSDoc, on the other hand, provides nothing more than a output of all the API objects in a linear way. This makes it harder for non-technical users to find information and make full use of the output. Being bundled with Twitter Bootstrap, the output of Doxx looks very neat and well organised. They have also done a good job with the sidebar, which highlights the section you are in as you scroll down the page. Docco does a decent job in theming and produces a neat output. Everyone loves good designs, and it is extremely important that the generated documentation looks clean and is accessible. Doxx, Docco and YUIDoc clearly have an edge here for producing neat outputs that look beautiful out of the box. But what if we want to brand the API output or change the design to our liking? 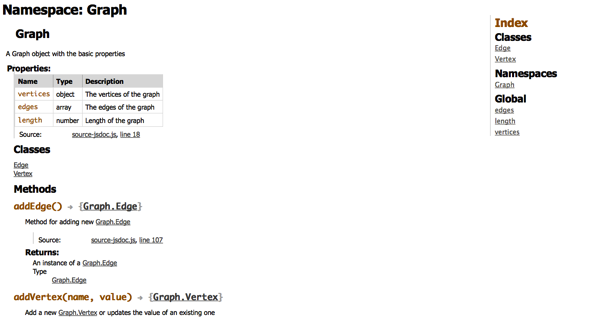 By default, JSDoc’s output is not pretty, even if it produces scores of useful information. JSDoc bypasses this limitation by allowing adding a custom CSS file to the generated output to tweak the way it would look. In the hands of an able programmer, this can work wonders. This approach also allows creating reusable themes that can be plugged in to any JSDoc-dependent project. 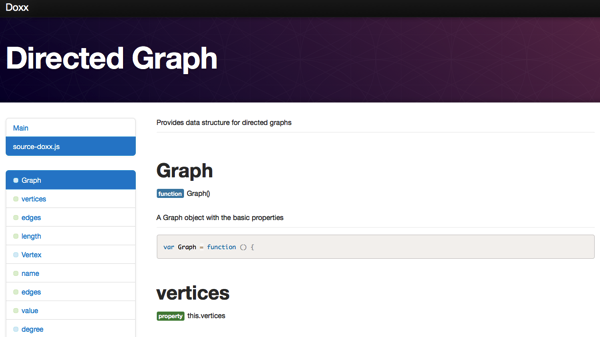 An example of this the Docstrap template, which gives a Bootstrap loaded theme package for JSDoc. 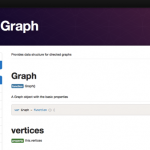 We gave Docstrap a try, and found it to be good enough to make JSDoc output better. There is still a good scope of improvement. Among the tools we evaluated, only YUIDoc provides a nifty search feature out of the box that helps users search through the documentation. 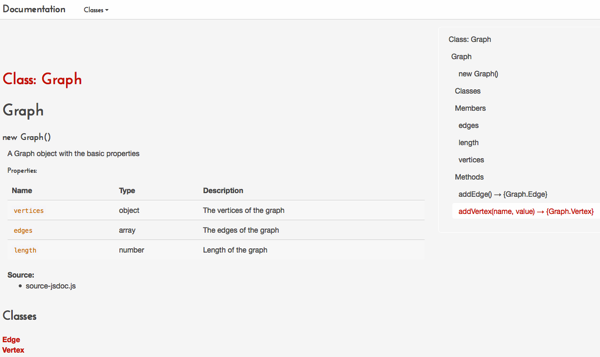 This is useful in finding any variable, method or class from anywhere in the documentation. It increases accessibility and discoverability of the API by a good margin. Others do not provide a search feature, at least with the default template. It is possible to add search option by customizing the themes for any of these tools. The main purpose of generating API docs is to let the world know how your code works and how they can interact with it. So visibility of those docs in search engines is highly desired. In comparison to other tools, we found the outputs of Docco and YUIDoc to be really good for search engines. YUIDoc particularly has solid SEO foundations for its generated documentation, improved with metadata and microdata. By default, JSDoc’s output is not SEO-friendly. 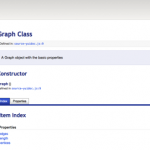 Using Docstrap, it is possible to get slightly more SEO friendly documentation. However, if a documentation generator allows you to customize its output, then it is always possible to improve the output by adding the meta information that search engines look for. The lesser the number of external dependencies of a project, the easier it is to manage that project in the long run. This helps in keeping a project as lightweight as possible, yet having all the powers it needs. Keeping this in mind, we found all the four tools to be extremely useful because of the minimal dependency chain they have. All of them can be installed through the NPM, the Nodejs package manager. Using Docstrap with JSDoc adds some complexity to the scene as Docstrap requires a build process to generate the CSS files. Extensibility is the capacity of a program to allow itself to be augmented with additional features through a plug-in like system. JSDoc is highly extensible. The source code repository of JSDoc has a folder with various plugins that can be used with it. There are neat instructions of how one can develop new plugins for JSDoc. This can be very useful if someone wants to add new features to JSDoc, like adding support for some new tags which do not exist in core JSDoc. YUIDoc does not have a strong API like JSDoc for extending it, but it has a neat way of creating new themes. A couple of sample themes are shipped with YUIDoc. These can be used as base for new themes. This was the final and the most important feature we were looking for and this turned out to be the ultimate selling point for JSDoc. All other documentation generators parse only the comment blocks, ignoring the rest of the source code, and generate their output based on the comments only, structured or not. If a documentation generator reads only the comment blocks, it can possibly generate API docs from a source code containing only comments and no code. The resulting API documentation will look complete because all the objects are documented. It is still useless and, often misleading, because there is no code for those documented methods. If a user tries to use the API by reading that documentation, he/she will find that the methods he/she is trying to call do not exist at all! Tightly coupling source code with the documentation in comments also results in less lines of code. There is no need to write the name of the objects in that case. 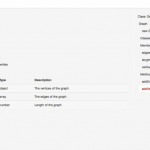 The documentation generator will pick up the name by studying the source. Hence, we strongly favour close coupling of code and its documentation. One should not exist without the other. Considering all these factors, we have chosen JSDoc as the documentation generator tool of our choice. We plan to extend its interface and make the outputs prettier. We also have ideas of exploiting the language parser in JSDoc and create some interesting products. We love tools which help us automate tasks. But we love those tools even more which let us control the automation. Just wanted to mention that the alignment is off in the columns of the “Visual Comparison” table at the end of the post, making it pretty tough to decipher. Thanks for the alert. It’s fixed now! Nice article! I like the way your breaking down the comparison, going to take all this into consideration for a Meteor APIDocs application we’re just starting to think about. Glad it helped you, Tim. Hoping to see apidocs.meteor.com live soon! I agree. I looked at a bunch of options (including jsduck) and jsdoc ended up producing the best results with the way my code was structured. I like that jsdoc is native js (node-based) and doesn’t require Ruby. It makes it easy to integrate with the rest of my project, and it doesn’t introduce dependencies on other languages and tools. Smart comments also proved helpful! When do expect this to be ready for production? Just wondering, did you take a look at ESDoc.org? I’ve been using it for a couple projects now and I’m very happy with it. This is not a “did you see that? Because it’s better than this” kind of comment :P, I really want to know if I should migrate. Rarely do I read a blog post about blogging that isn’t 90% stuff I’ve heard of before. I cannot wait to click and try a bunch of these as I draft my new post today. In the way I use Docco, it should not be on this list, all the other tools are Consumer Documentation tools, as in tools to provide documentation to whom is consuming the API or service(Who has no place actually reading possibly propietary code), and Docco is Developer Documentation, as in to provide documentation to whom is WRITING the code, so you could very well use both JSDoc/etc… and Docco, Docco being used to describe implementation details that might not be easy to understand for a new developer that is not yet acquainted with the project, onboarding developers with this strategy is SUPER EASY & SWIFT!